The Pastiera has to be cooked few days in advance, no later than Good Friday, in order to allow the fragrances to fully develop. 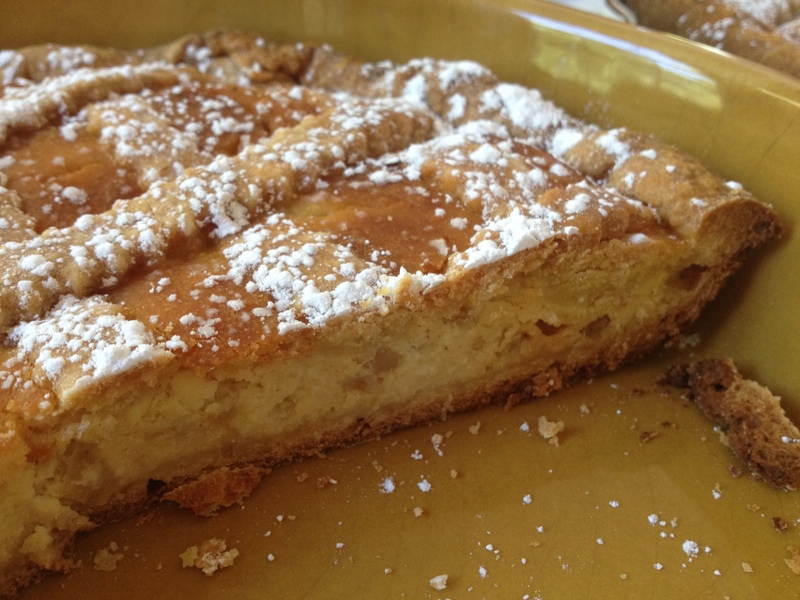 The Pastiera is typically cooked and served in thin aluminum baking tart dish. 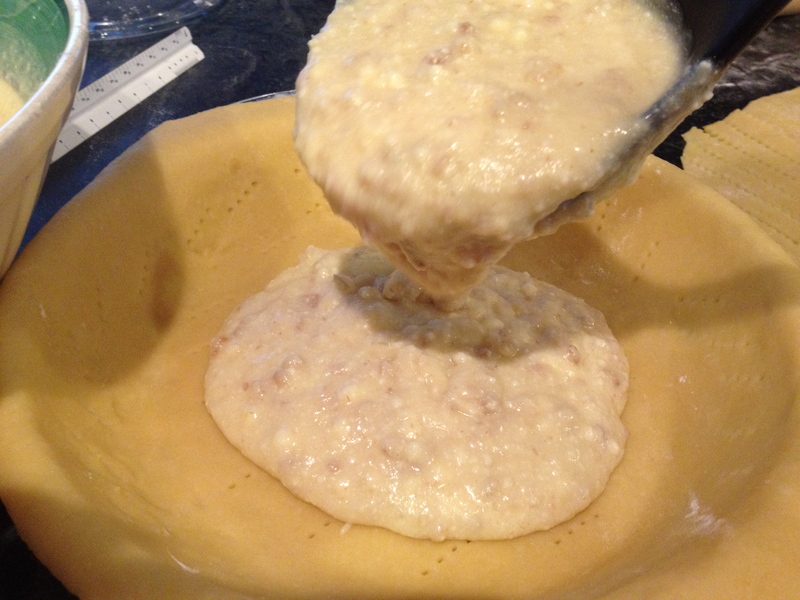 The dough is very fragile, so it would easily crumble up if removed from the dish. The legend narrates that Partenope, the mermaid, lived in the gulf of Naples enchanted by its beauty. Every Spring she would emerge from the water to greet all the happy people who lived there and brighten their days singing love calls. One day her voice was so melodious that all the people were fascinated and moved by the words of love that the mermaid had dedicated to them. To thank her, they decided to give her the most precious gifts they had. Seven of the most beautiful virgin girls were picked to bring Partenope the gifts: flour, strength and richness of the land; wheat boiled with milk, symbol of the two reigns; ricotta cheese, a present of the shepherds and sheep; eggs, symbol of a new life; water with flowers fragrance; spices, which represented people who lived far away in other continents; sugar, which best gave the idea of the sweetness of Partenope’s call profusing in the sky, on Earth and in the universe. The mermaid was happy of these gifts and decided to bring them to the gods and goddess who lived in the sea. They were all carried away by these gifts, and decided to mix them all together with heavenly art. 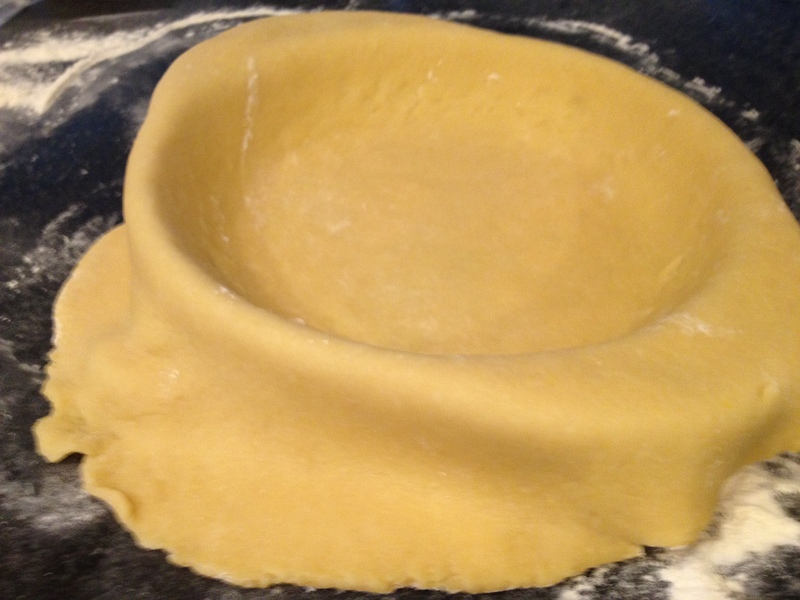 The result was the first Pastiera. Now let’s try to bake our heavenly Pastiera! 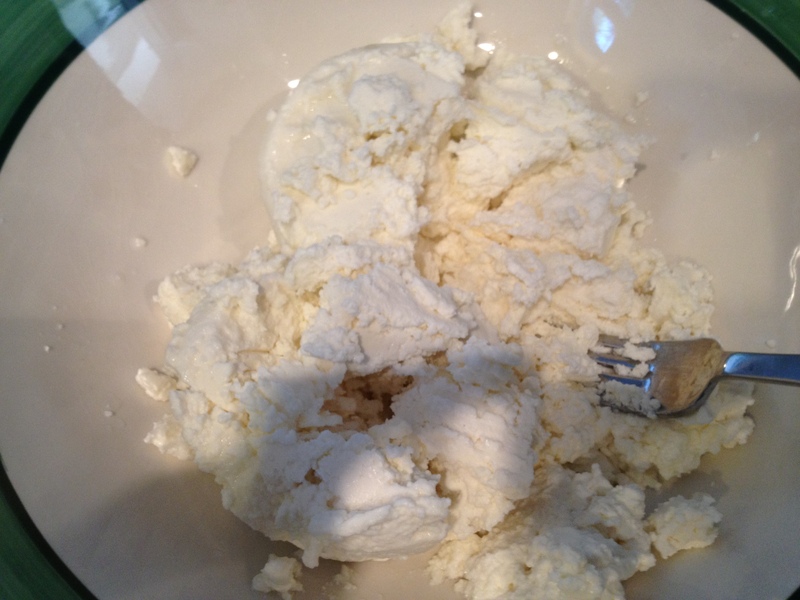 10-1/2 tablespoons unsalted butter at room temperature. 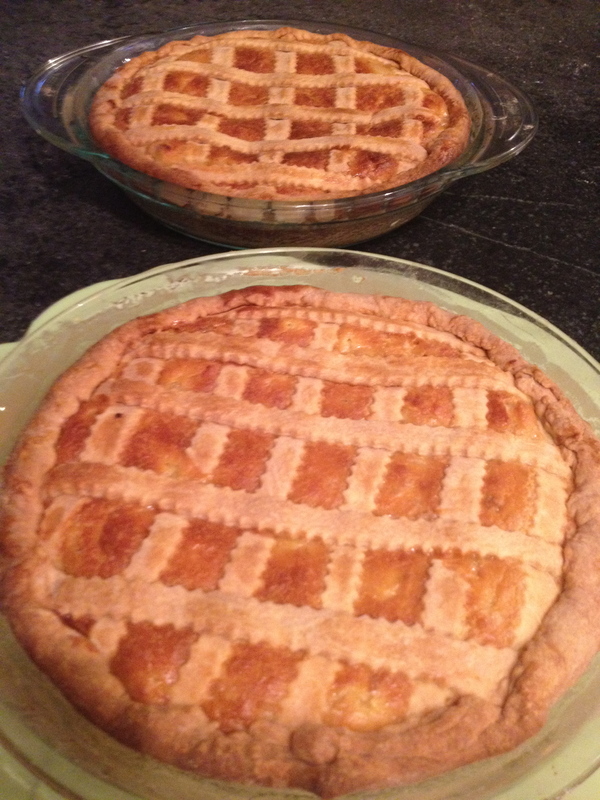 UPDATE: Please note that filling is enough for two Pastiera. 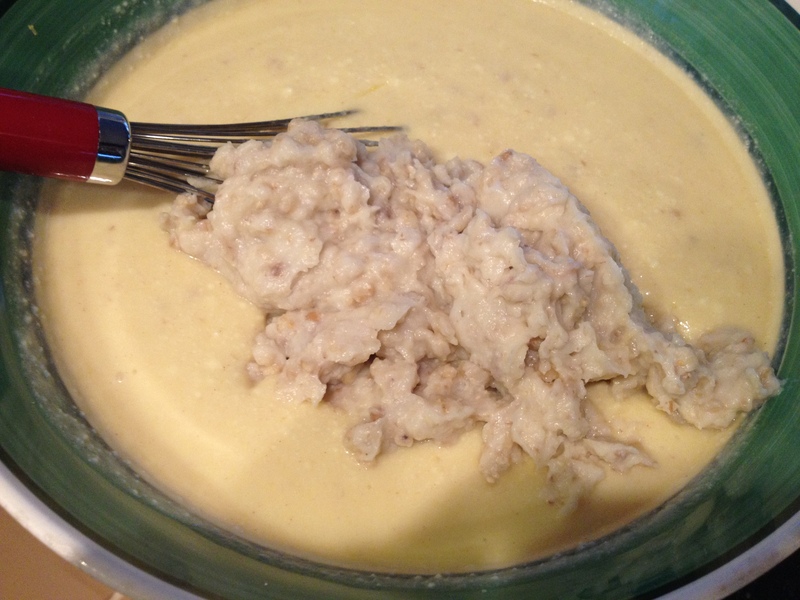 In the bowl of a standing mixer with the hook attachment, mix flour, sugar, and grated peel of ½ lemon. Add the butter and work to mix. 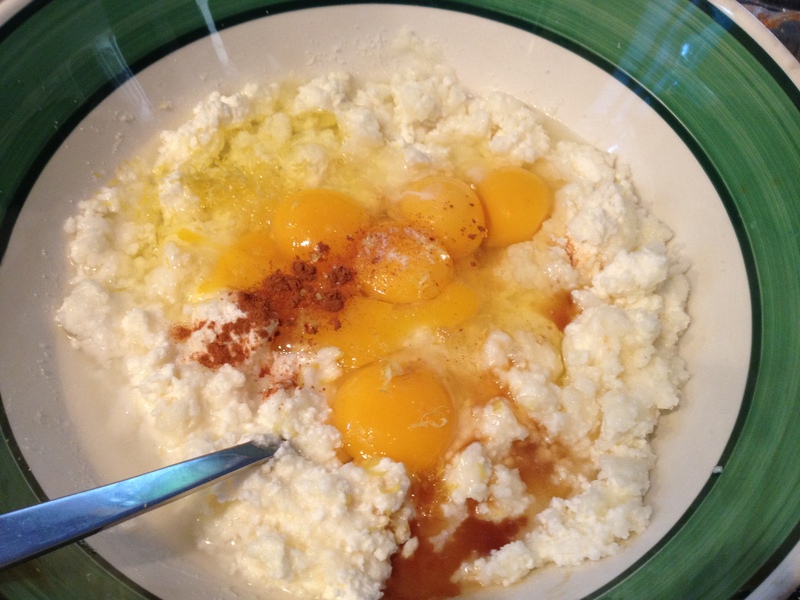 Add the eggs one at a time while mixing slowly. 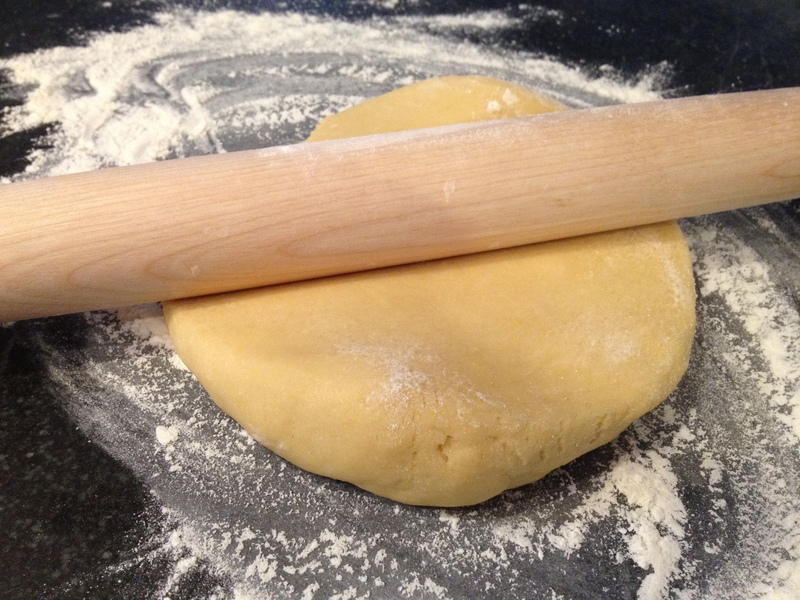 Transfer the dough to a surface dusted with flour. 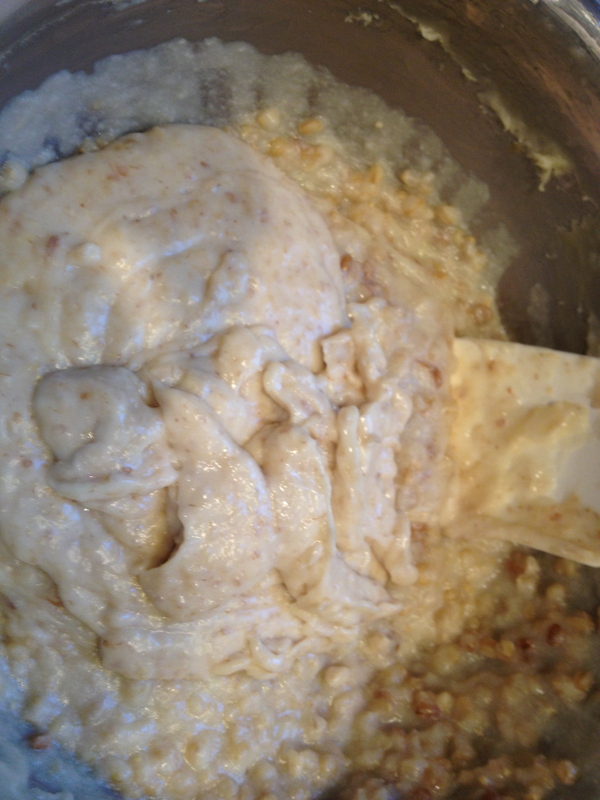 Quickly knead the dough to make a ball. Let rest for 30 minutes covered with a damp cloth. 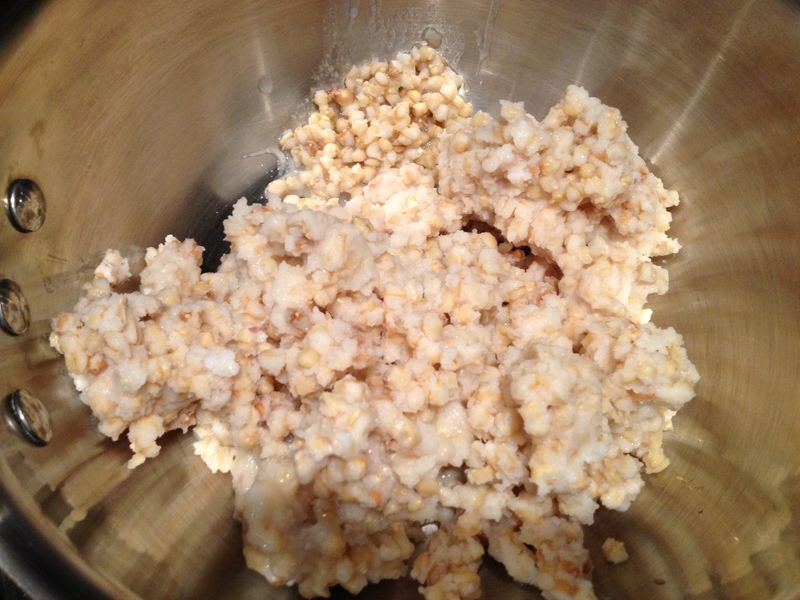 Pour the wheat, the milk, the butter and grated lemon peel in a pan; let it cook for not less than 10 20 minutes or until the ingredients have become creamy (stir often). In another pan whip the ricotta cheese, the sugar, 5 eggs, 2 egg yolks, vanilla, acqua di Millefiori, and a dash of cinnamon. 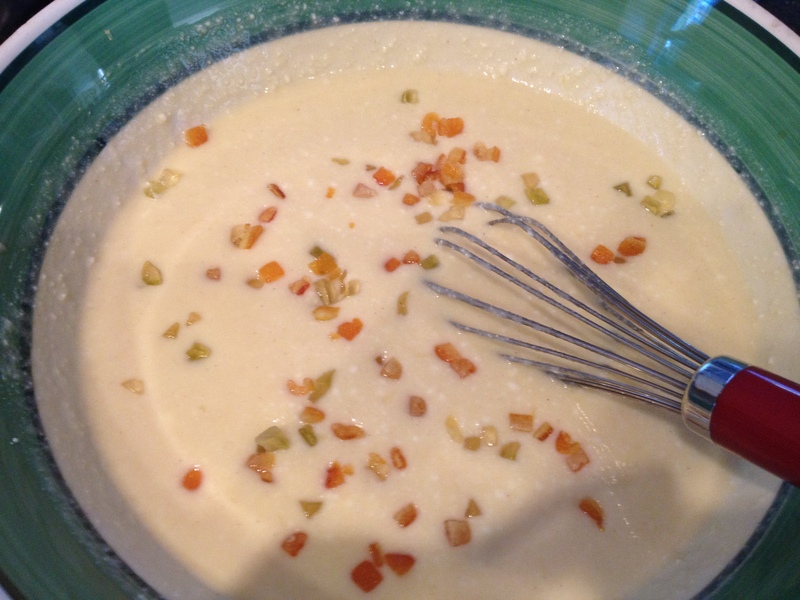 Mix everything until the dough custard is very smooth. Then add some grated lemon peel and the candied orange and citron (cut is small cubes). 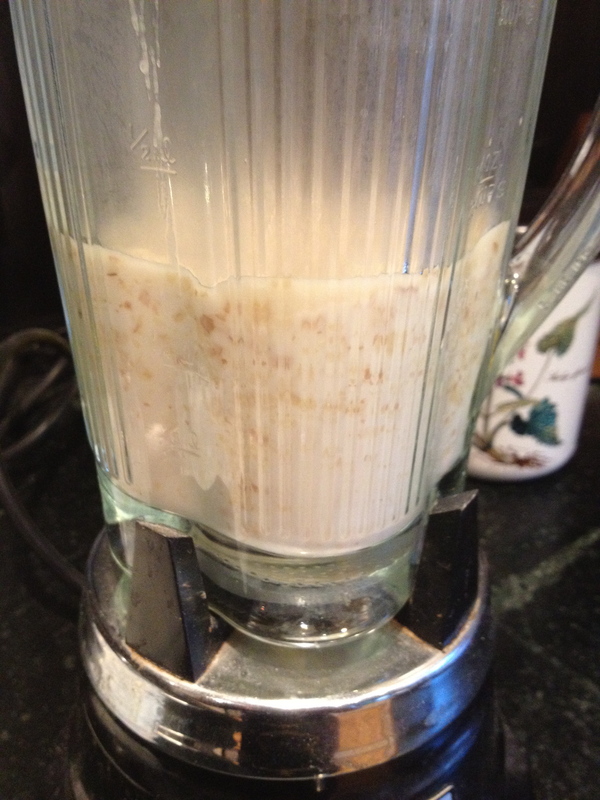 Transfer half of the milk/wheat mixture to a food processor and mix until smooth. Pour back into the other half of the mixture. 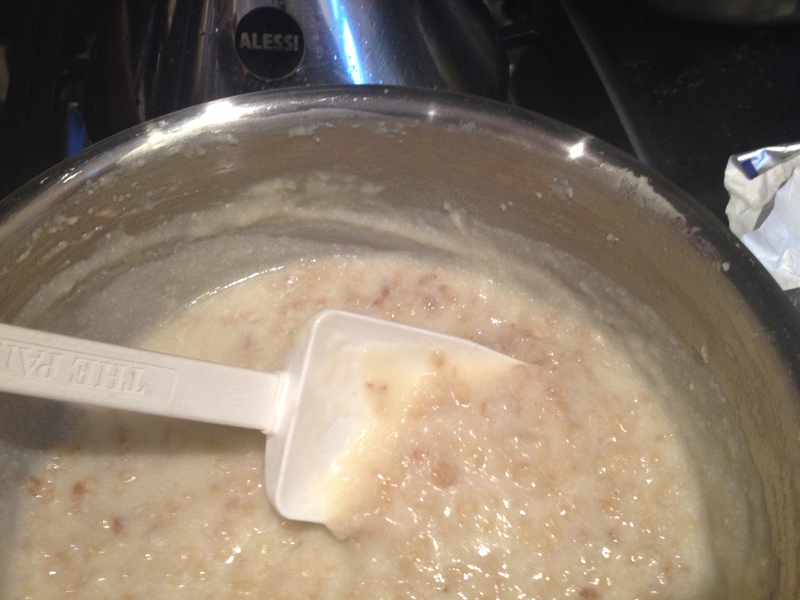 Add the milk-wheat mixture to the ricotta – egg mixture. Stir to blend all the ingredients. Preheat the oven at 360 degree. 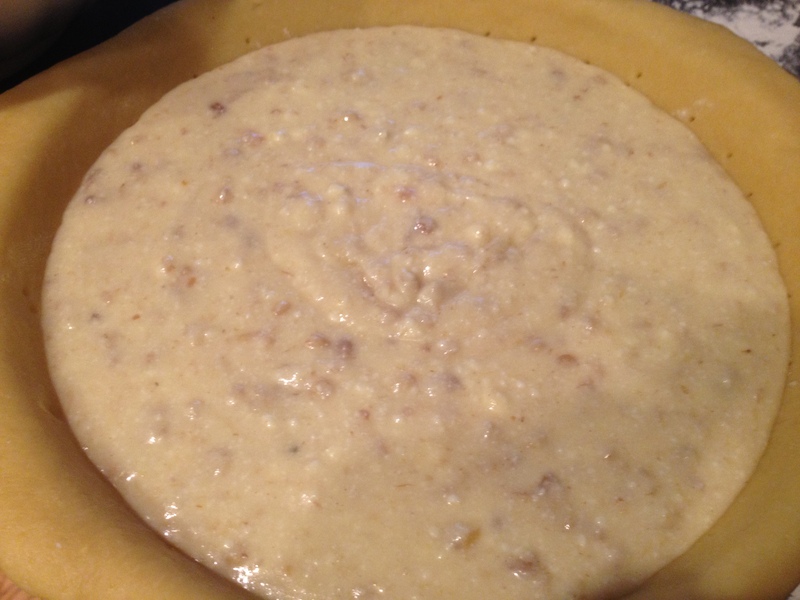 Grease the tart dish with butter and dust with flour. 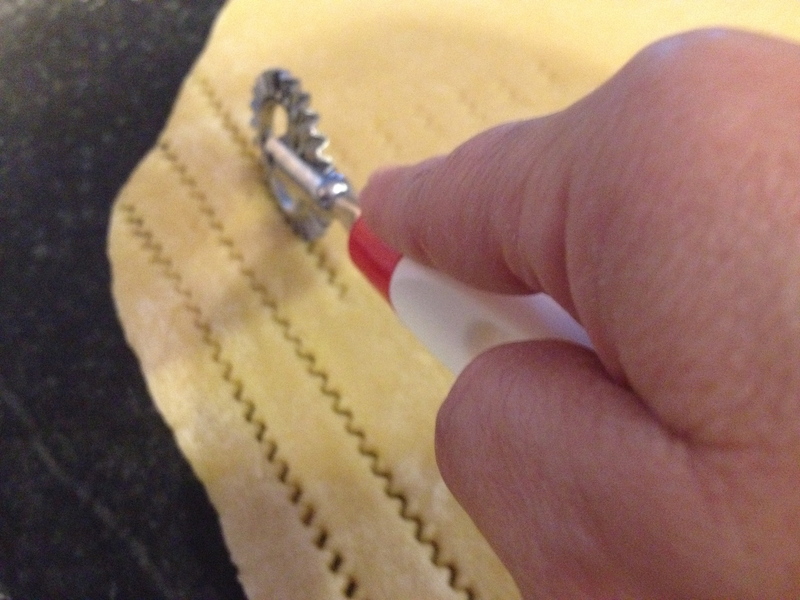 Line the short pastry into the tart dish. Cut the exceeding edges off leaving ½ inch overhang. 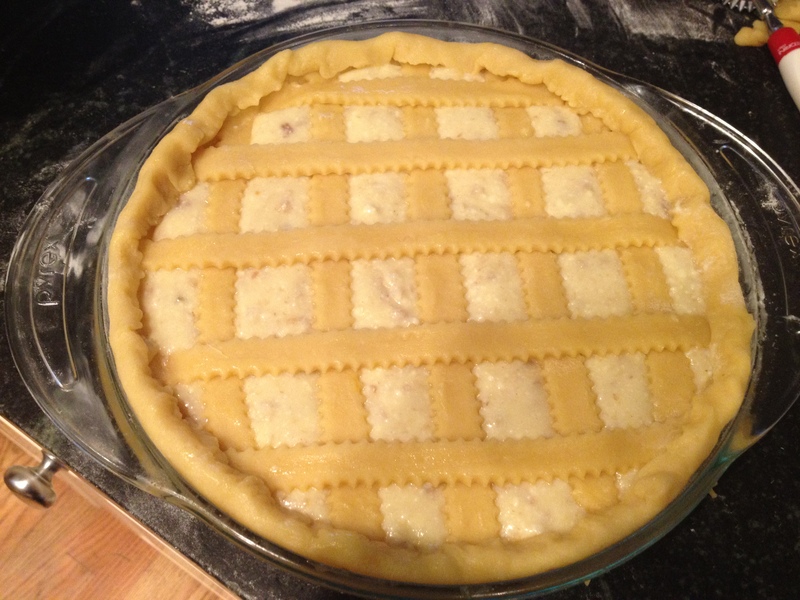 Re-roll the scraps and cut into ½ inch strips to use as lattice top for the pie. 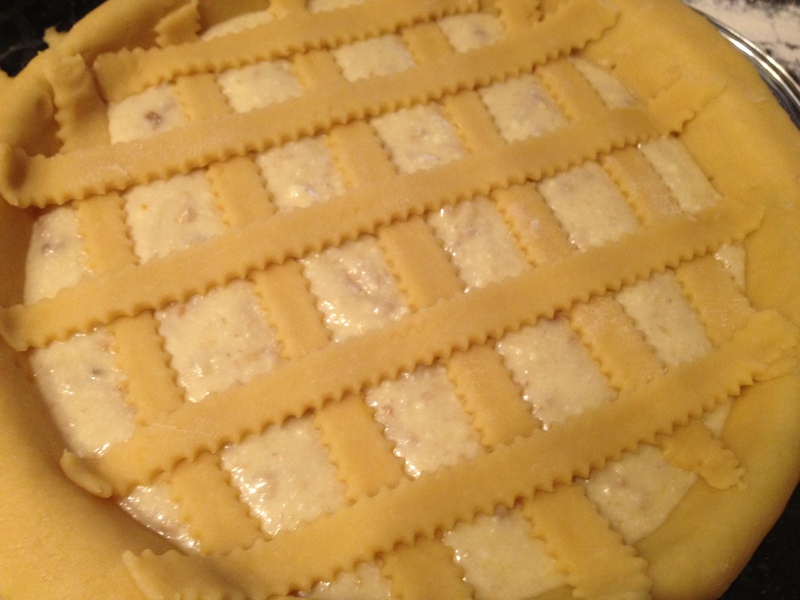 Pour the mixture of the ricotta cheese and the other ingredients in the pan, and fold the borders of the short pastry inwards. 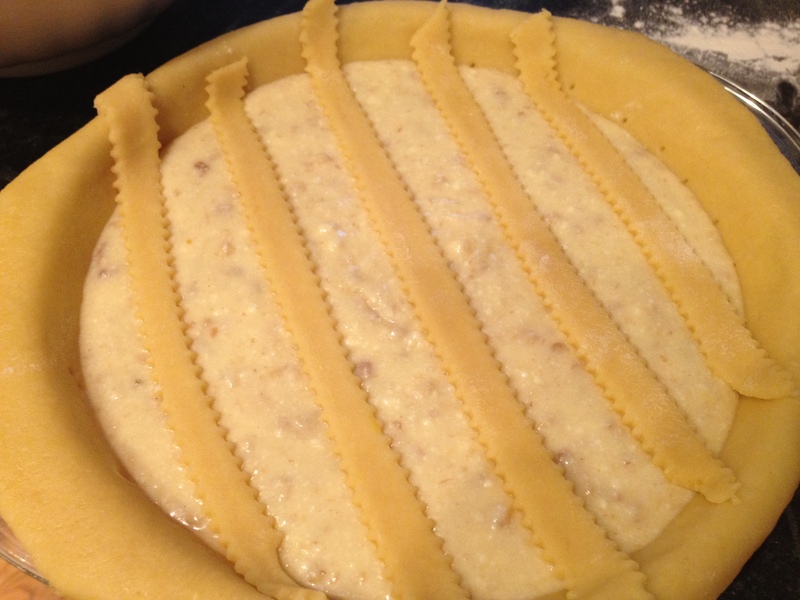 Place the strips of dough across the filling, spaced about 1 inch apart forming a lattice top. Fold the ½ inch overhang over the edges of the lattice and with your fingers flute the border. Bake at 350 for 1 hour or until the top has an amber color and the center is set. Turn off the oven and let the pie cool for 1 hour in the oven with the door slightly ajar. Remove from oven and continue the cooling process on a wire rack. Once the pie is completely cool, cover with plastic wrap (loosely) and chill until serving. Serve at room temperature and dust with powder sugar just before serving. Buona Pasqua. . . Happy Easter! The pictures look delicious. I wish I could taste it! Sorry for taking so long to say Thank you for stopping by and leaving your comment. I hope you will be back. It really looks delicious – have a Happy Easter! Thank you so much Meg. Buona Pasqua to you and your family! This looks like a wonderful desert. 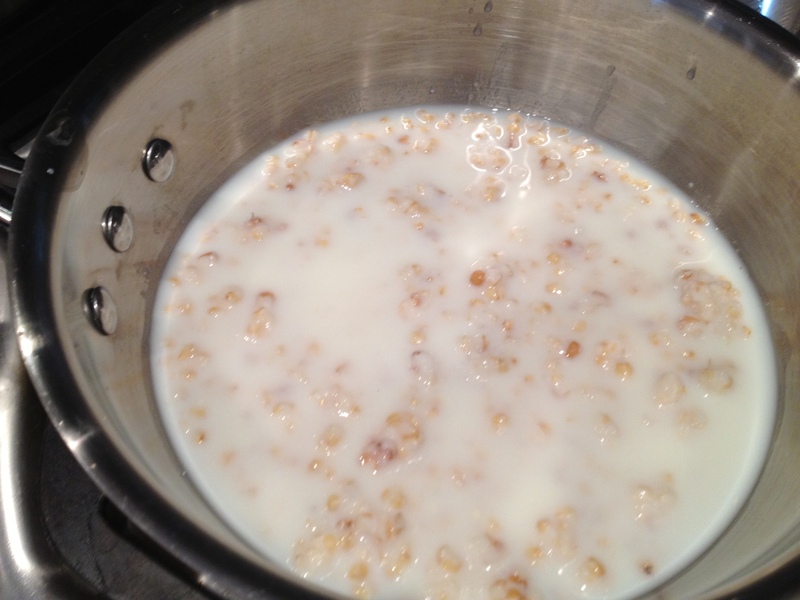 I have never seen boiled wheat. Where would I purchase this? Thank you for the information and happy Easter to you also! 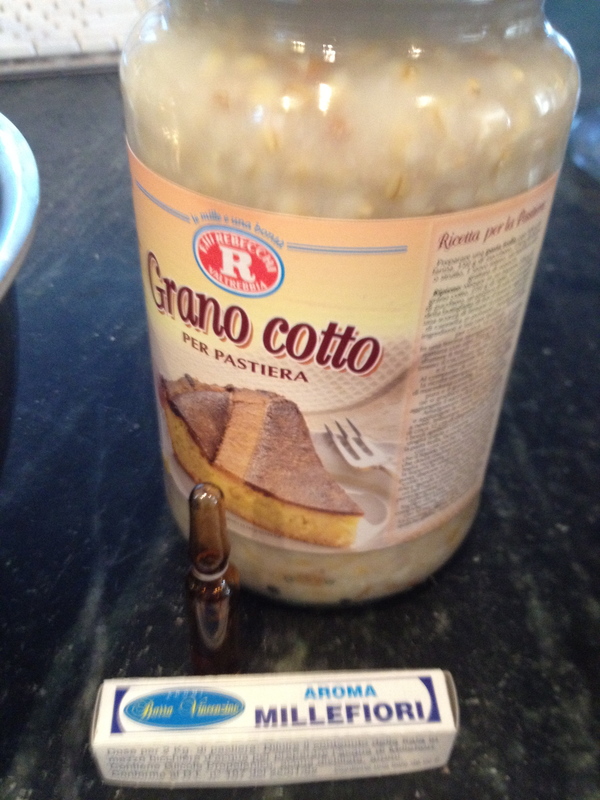 Reblogged this on Sharing My Italy…The Blog. Thank you for visiting my blog and taking the time to leave a note. I love lamb, it’s always on my Easter table. I will sure try your recipe, thank you for sharing!